Holi (also known as Phagwah or Bhojpuri) is celebrated on the Phalgun Purnima (or Pooranmashi, Full Moon) in the month of Phalgun according to the Hindu Calendar.It lasts for a night and a day, starting on the evening of the Purnima (Full Moon day). The first evening is known as Holika Dahan or Chhoti Holi and the following day as Holi, Rangwali Holi, Dhuleti, Dhulandi, or Phagwah.The word Holi is derived from the word ‘Holika’, who was the demonic sister of King Hiranyakashipu and was burned to death with the help of Vishnu. Since then, Holi is commemorated as the festival of love. Holi marks the passing of winter and beginning of spring and is celebrated each year around the vernal equinox, the first day of the new season on the astronomical calendar. Generally, it falls between February and March. The festival signifies the victory of good over evil, the arrival of spring, end of winter, and for many a festive day to meet others, play and laugh, forget and forgive, and repair broken relationships. Holi frolic and celebrations begin the morning after the Holika bonfire. There is no tradition of holding puja (prayer), and the day is for partying and pure enjoyment. Children and young people form groups armed with dry colours, coloured solution and water guns (pichkaris), water balloons filled with coloured water, and other creative means to colour their targets. Everyone in open areas such as streets and parks is game, but inside homes or at doorways only dry powder is used to smear each other’s face. People throw colours and get their targets completely coloured up. It is like a water fight, but with coloured water. People take delight in spraying coloured water on each other. By late morning, everyone looks like a canvas of colours. This is why Holi is given the name “Festival of Colours”. It’s that time of the year when the streets are filled with colour-smeared people who greet each other with a dash of pink, yellow and green. Yes! 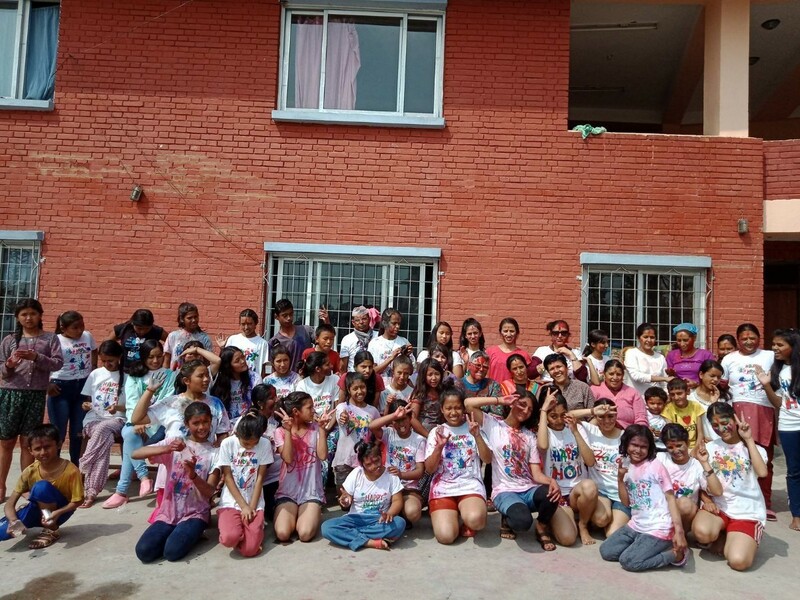 It’s the festival of colours .Here is the celebration pictures of Holi at the Women’s Foundation. May God paint the canvas of your life with the colours of joy, love, happiness, prosperity, good health and success. Wishing you a happy Holi!